The benefits and taste of the wonderful green tea know, for sure, Almost all. But not everyone knows, instead use available backfire, if carelessly approached to a method of brewing. 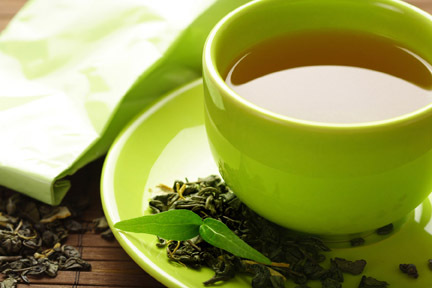 That is the correct brewing green tea will allow the complex to work on the body with all beneficial tea solids, namely: saturate it with vitamins, help fight disease, toxins, have a preventive effect on the heart and blood vessels, protect the liver, reduce stress, improve immunity, prolong life and youth. First of all, tea you need to choose. After all, to get the desired effect, take tea only quality, and buy it only when you need to, where there are appropriate conditions of storage, and thus in specialized tea shops or stores. On the market, where idle vendors offer pay a "fine green tea", not worth buying, in such a low-grade tea of ​​no use will obviously not. Direct sunlight, increased temperature and humidity will quickly make the high quality tea is just dried leaves. quality tea - is the, where a high content of terminal buds, TIPS and the youngest leaves, it must be properly assembled, processed and saved. Tea is best to buy in the original sealed packaging in specialized stores, have proven, reliable suppliers. Getting brewing tea, must be take care of the water. fits best soft, key or bottled gas without. In an extreme case,, well filtered. 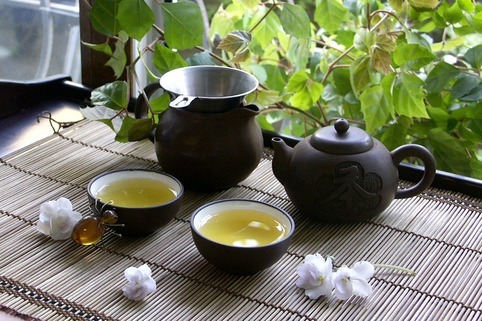 Prepare Brewed teapot, it may be ceramic, porcelain, glass, but in any case no metal. Measure out the necessary amount welds. note: for different varieties require different amount of it, read the instructions on the box, or ask the store. But mostly,, can stick technique - pinch of tea on 150 ml of water, to start experiment, if you get too strong or weak tea leaves to your taste, then the next time take it more or less. Brew tea need properly prepared with boiling water. Pour into water in a kettle and wait until the so-called step "white keys", Chinese call it "wind in the pines", is slightly lower 100aboutWITH, about 93-96aboutWITH. In accordance with the Chinese ancient tradition, boil water should once, each time to prepare a new hot water, second zakipyachennaya water spoil the drink. We pour a little boiling water into the teapot, rinse it, to heat, pour the tea leaves and pour chilled to 80aboutWith boiling water. insist 2-4 minutes, stir with a spoon, we filter and drink. Welding can be used several times, again, depending on the variety, each time increasing the time insisting on 20-30 seconds. often recommend to brew tea the Strait, when, poured into the teapot tea leaves, pour it up ostuzhennym 80aboutWith boiling water, waiting seconds 10 and the water is drained, and then again and then we pour brewed finally. It is believed, that in this way the dust is removed, steamed tea leaves better and give nutrients. It can be brewed in the way, which is more convenient. IMPORTANT: Many novice chaemany somehow believe, that the water must be brought only before 80aboutWITH, and not to the boiling, it is a misconception, water necessarily brought to a state of "white keys" (93-95aboutWITH) and only then cooled to the desired temperature. How view, nothing complicated, Drink to health! How to make rose hip?